Branded solutions for all industries. At EmbroidMe, we're in the game of helping you promote your business name, because we know how important it is to have a strong brand to appeal to your customers. We think a lot about names and brands and how to apply them to promoting business so we're excited to tell you that we'll be changing our name. 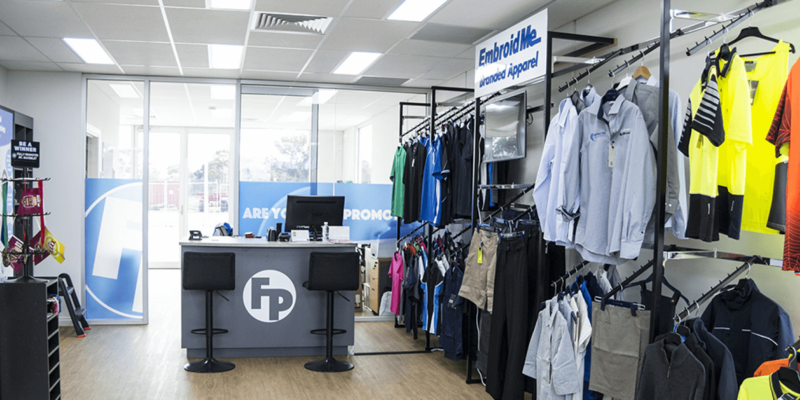 The first EmbroidMe store opened in 2004 and since then we've been providing expert advice and quality branded products to our clients. During the last thirteen years, we've learned a lot from our global network, the industry and our customers about what it takes to promote a successful business. 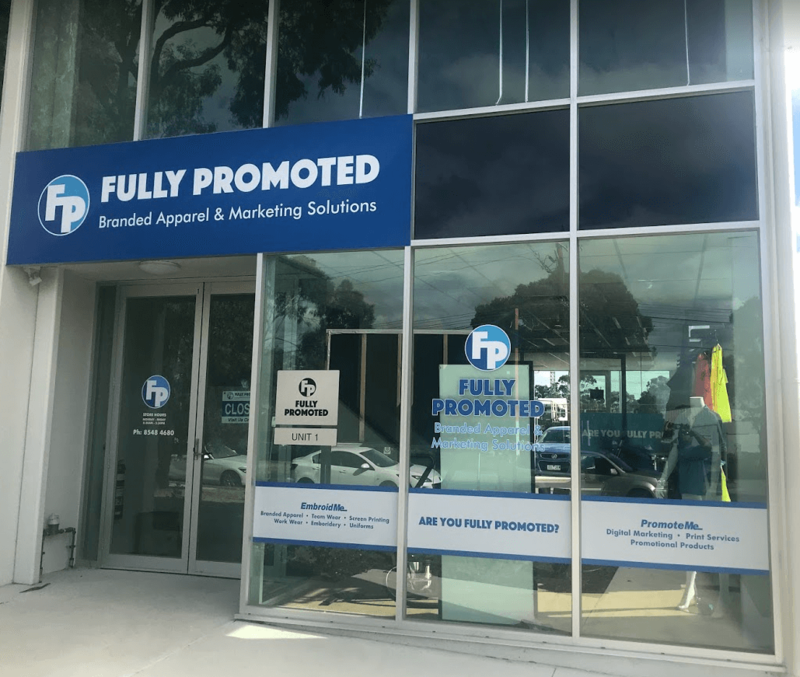 The pillar of our business will always be branded apparel and products but now we're evolving to provide a variety of marketing solutions under one roof to help our customers be successful and grow. We're changing our name to Fully Promoted, because that's what we do. We use our expertise, extensive product range, and in-store production facilities to fully promote you, and help you get more customers. When we shift to the Fully Promoted name we'll also be introducing new services. We'll tell you more about them as they become available in store. 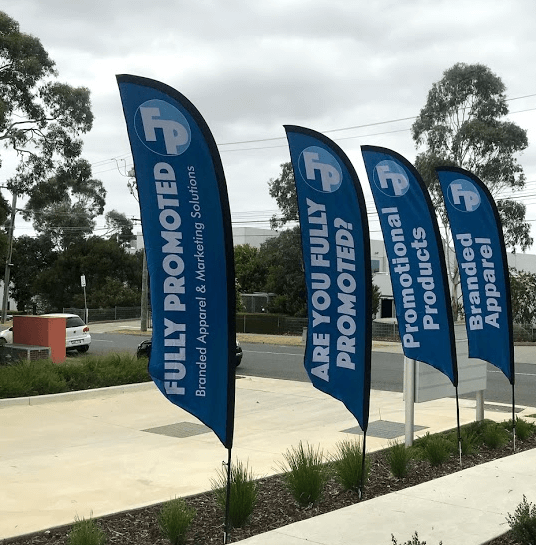 For now, it's important you know that although we're changing our name, there's no change to the attention to detail, quality product, cost effectiveness, friendly service and quick turnaround time that makes EmbroidMe your valued promotional partner. The pillar of our business will always be branded apparel and promotional products but now we're evolving to provide a variety of new services, print, web sites and digital marketing to Fully Promote you! 10 FULLY PROMOTED STORES ALREADY AND MORE TO COME SOON. The brand transition is on its way and we are excited about all the new services we can offer. Come and have a look at our new website.